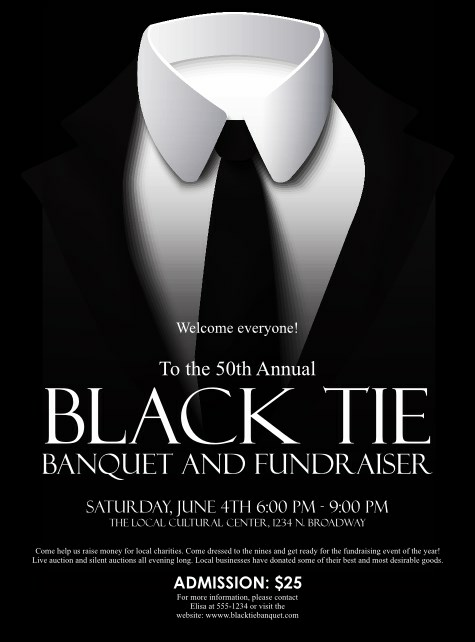 Promote your fashionable fundraiser, gala, or banquet when you post the Black Tie Flyer in advance. This sophisticated design has distinct text on an ebony background, with a crisp white shirt standing out in a black suit. This is a great template for any fancy fête.